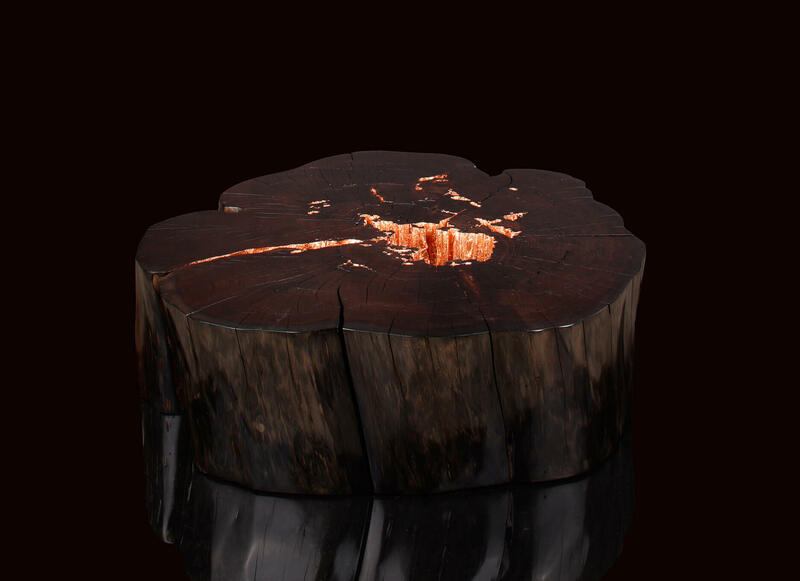 Introducing Treasures of Decay, a Limited Edition of solid wood stumps sculpted by the forces of nature and time. 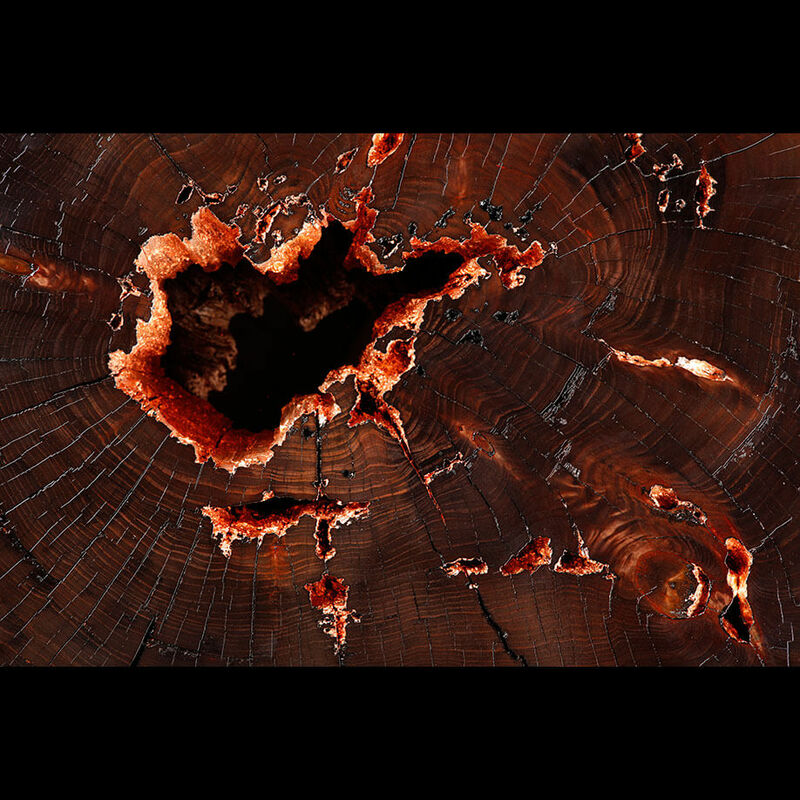 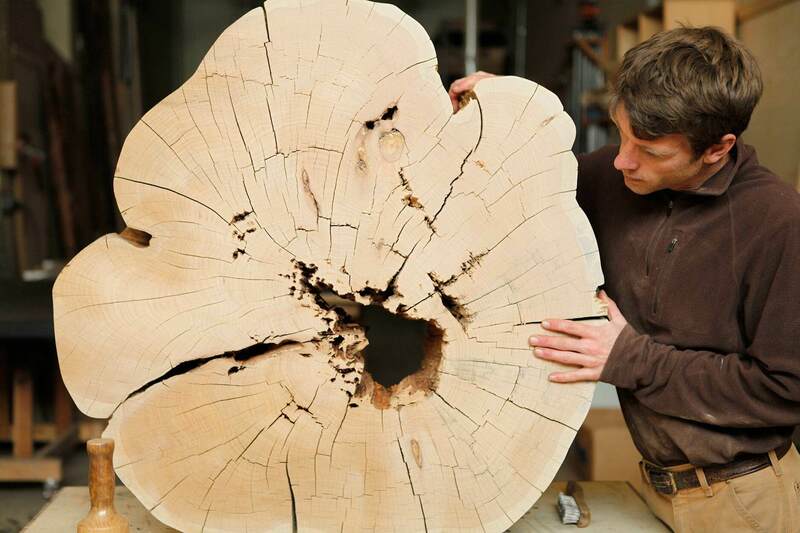 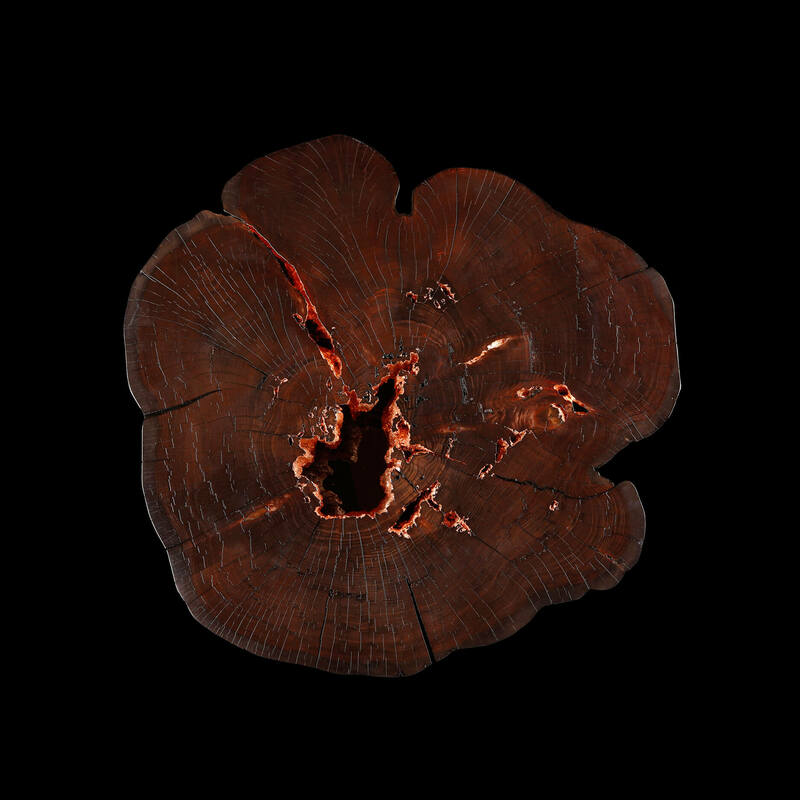 In this body of work, master craftsman Florian Roeper, stays true to his philosophy of letting the material- in this case, cross sections of native California logs- guide the design process. 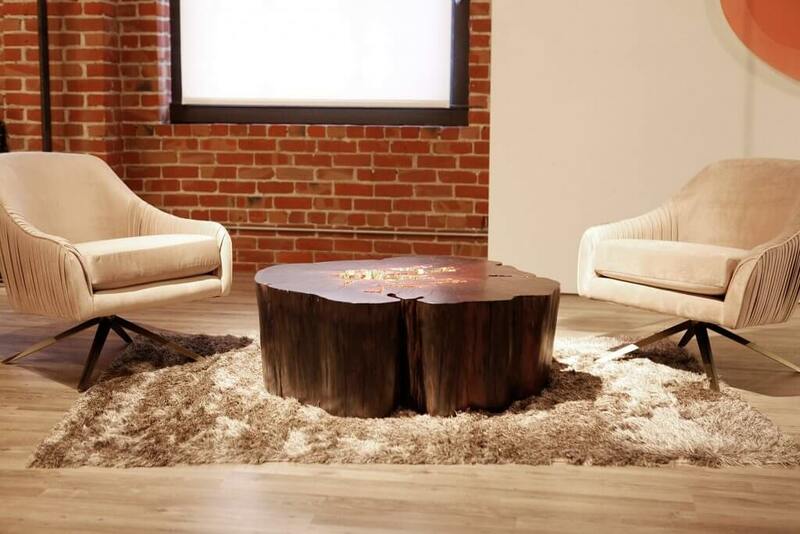 It took nearly 5 years to season and dry these stumps. Each piece is one-of-a-kind. 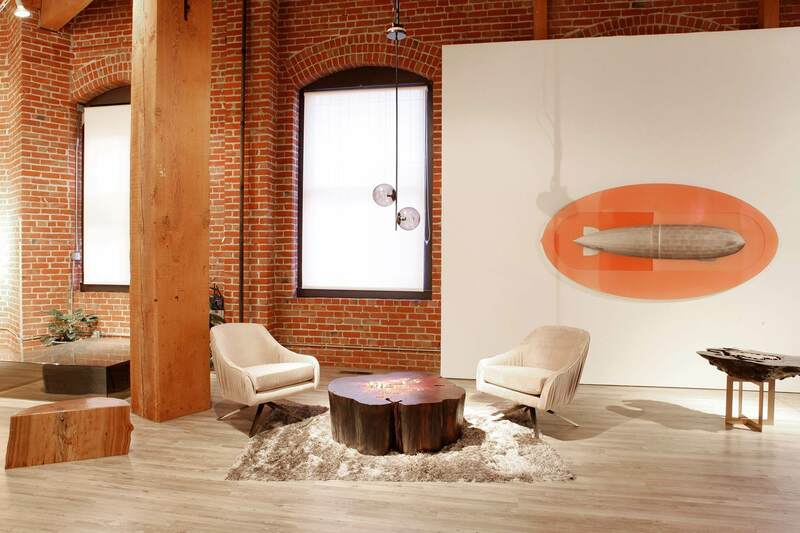 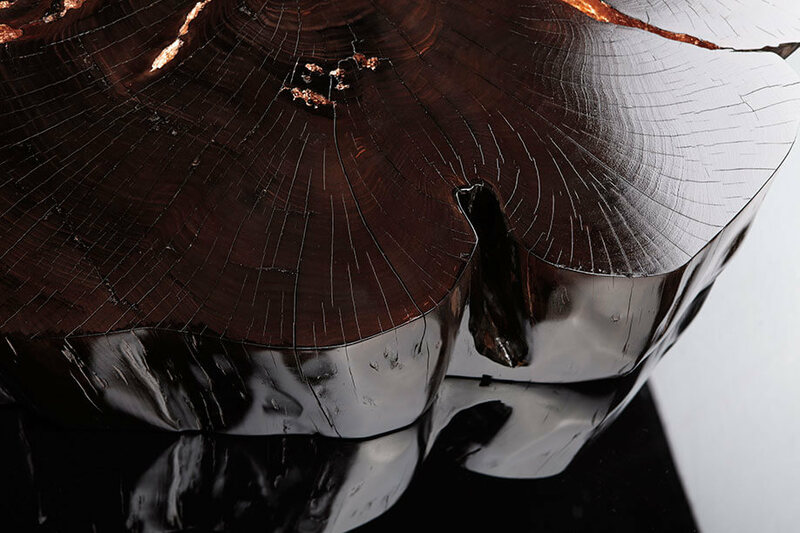 “I dislike rustic and woodsy looks, so I specifically chose the finishes to reflect a contemporary and clean aesthetic without having to give up the organic nature of the piece”, Roeper says. 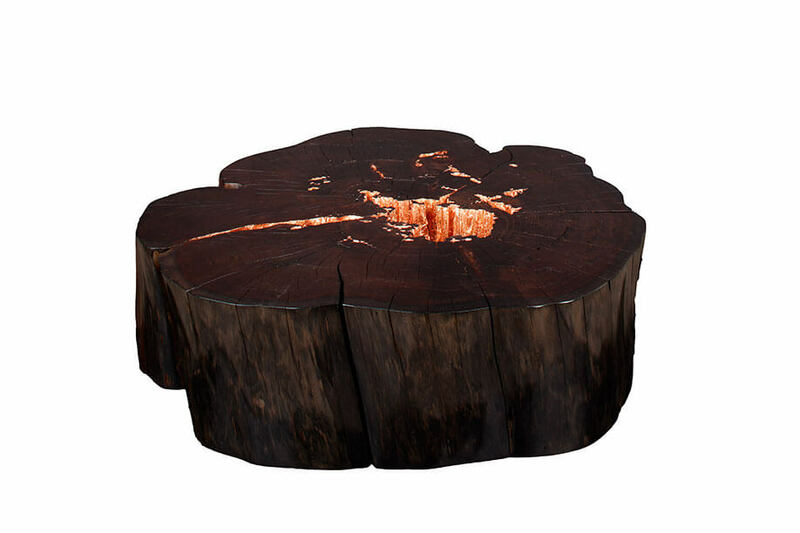 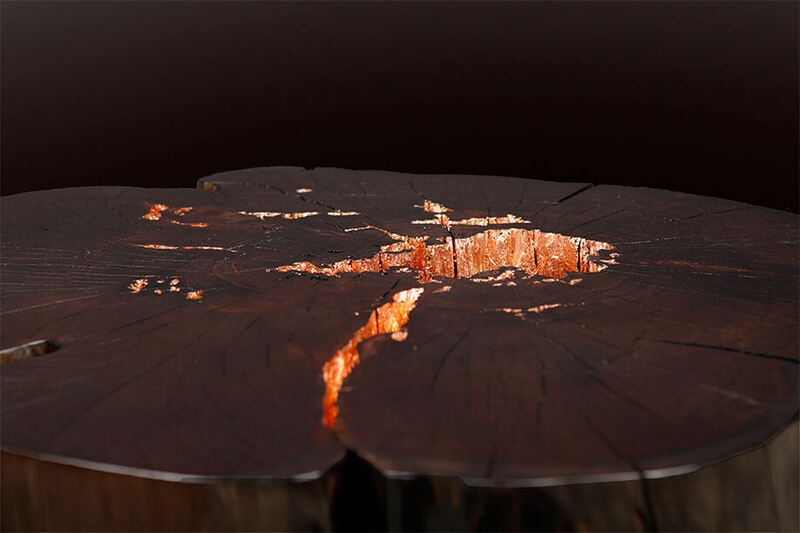 A glossy, dark espresso finish contrasted with bright copper leaf exudes an air of elegance and sophistication, creating a focal point on the hollowed out core of the tree.